You didn't think I would leave boaters out of today's rash of WiFi/transportation related news did you? The Massachusetts Bay Transportation Authority (MBTA) announced yesterday that WiFi service was available immediately on eleven MBTA commuter boats, providing customers free connection to the Internet using laptops or other Web-enabled devices. 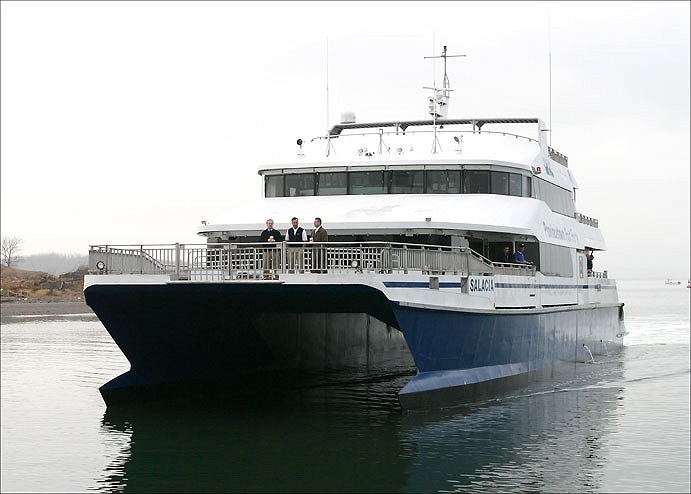 All MBTA Commuter Boat vessels on the F1 -- Hingham/Boston and F2/F2H -- Quincy/Hull/Logan/Boston ferry routes will offer the WiFi service.